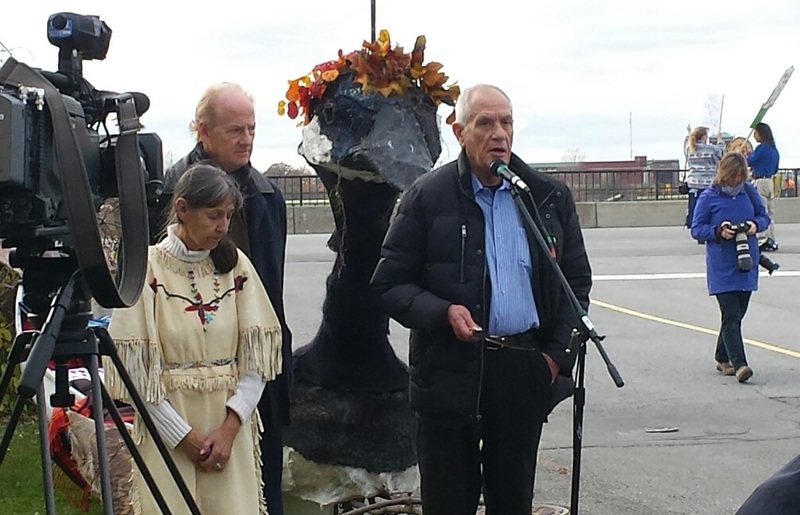 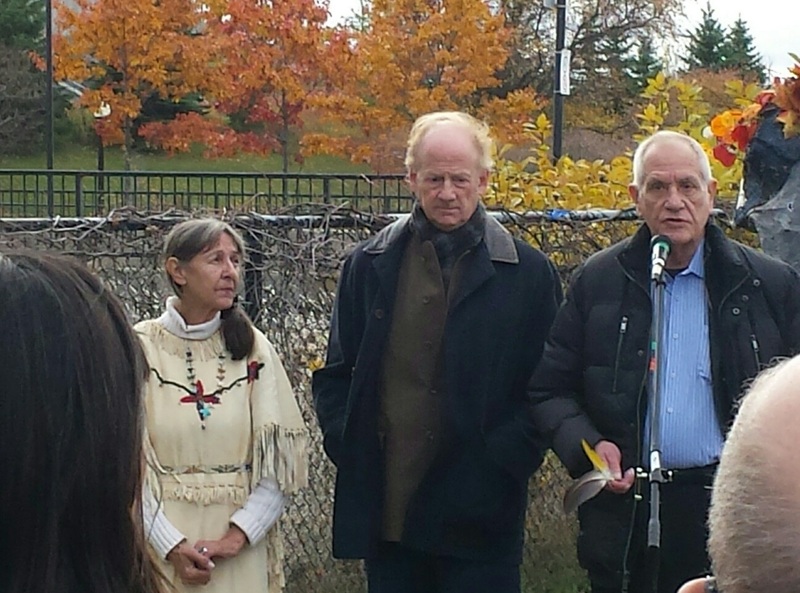 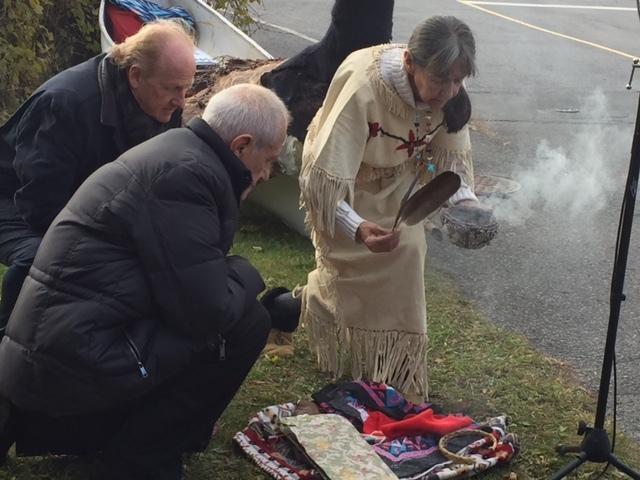 Algonquin elder Evelyn Commanda, Anishinabe architect Douglas Cardinal, and acclaimed writer John Ralston Saul told the media today that a proposal to build “green” condos on two islands in the Ottawa River, at the foot of sacred Chaudière waterfall, must include true consultations with Algonquin First Nations. 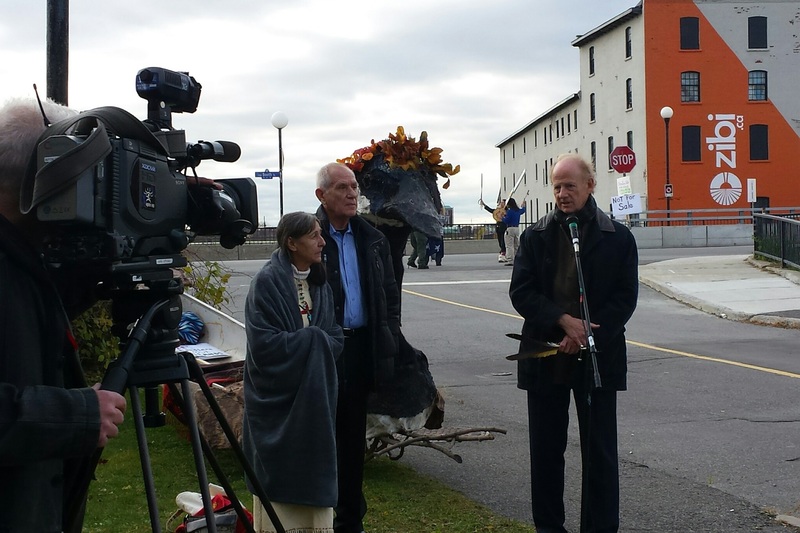 The event attracted about 70 people, a host of media, and many supportive honks from cars and trucks using the bridge near Victoria Island. 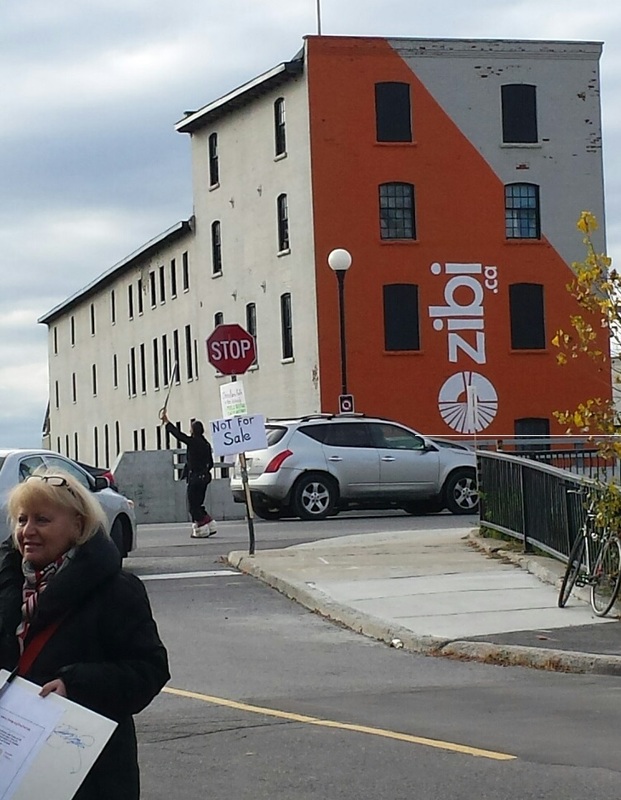 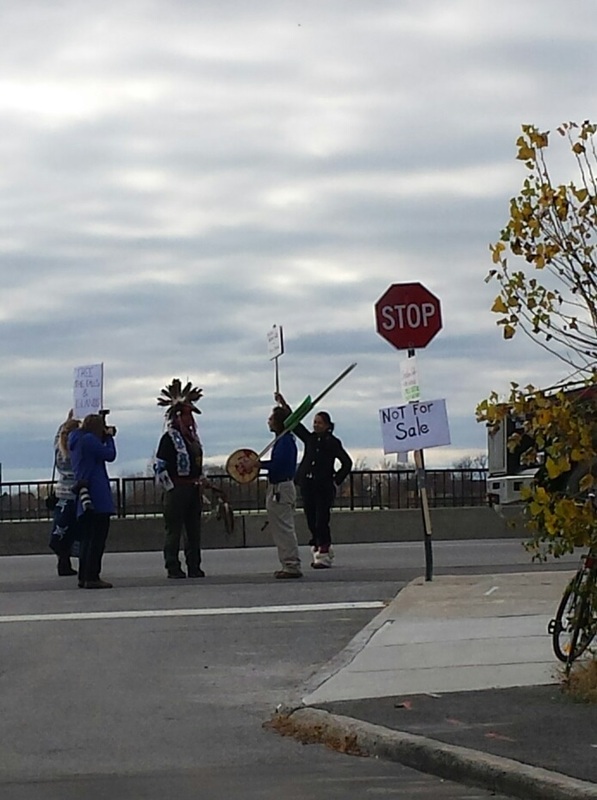 A large “Zibi” sign erected by Dream Windmill was visible behind the speakers. 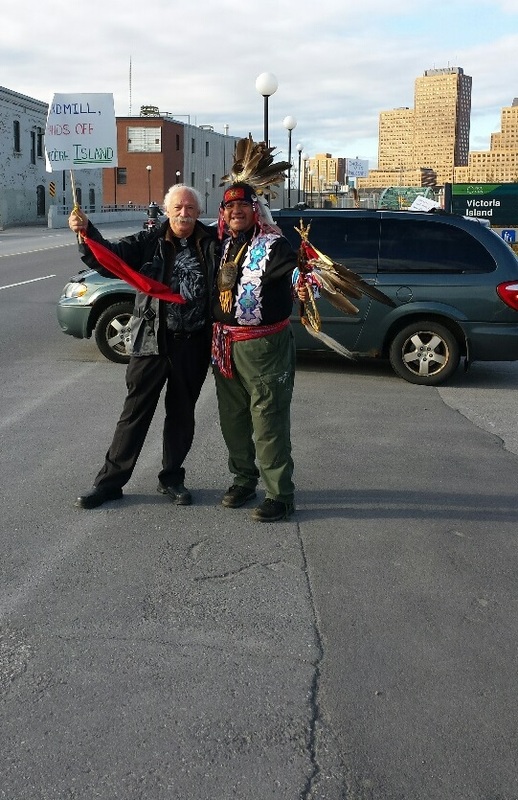 Here’s a visual diary of today’s event.